We organize eco-friendly Leopard Safari Tours and our campsites feature with luxurious swiss cottage tents, which allow you to feel the natural beauty of your surroundings without compromising on comfort. Steeped in legend and history, Leopard Nature Camp is waiting for you to explore its vast landscapes and spectacular wildlife. Leading Leopard Safari Tour operator in India. It is noticed that for most local and international tourists who visited Rajasthan is hardly know about wildlife in Rajasthan. 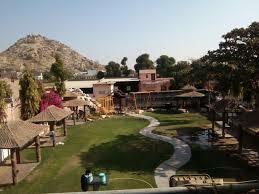 They mainly focused on historical and cultural background of Rajasthan and limited themselves to that only. Our aim is to promote and present the beautiful wildlife of Jawai leopard conservation zone.